In 1967, the Florida Legislature merged the responsibilities of several state criminal justice organizations to create the Bureau of Law Enforcement. The Bureau began with 94 positions, headed by a Commissioner who reported to the Governor, certain Cabinet members, two Sheriffs, and one Chief of Police. In July 1969, after government restructuring, the Bureau became the Florida Department of Law Enforcement. Today, the Florida Department of Law Enforcement is headed by a Commissioner who is appointed by the Governor and approved by the Cabinet. Headquartered in Tallahassee, Florida Department of Law Enforcement employs nearly 2,000 members statewide who work at the department’s seven Regional Operations Centers, 15 field offices and seven crime laboratories. The members of Florida Department of Law Enforcement are guided by four fundamental values as they respond to the needs of Florida’s citizens and criminal justice community: service, integrity, respect, and quality. The Florida Department of Law Enforcement is structured to deliver services in five program areas: Executive Direction and Business Support Program; Criminal Investigations and Forensic Science Program; Florida Capitol Police Program; Criminal Justice Information Program; and, Criminal Justice Professionalism Program. Through the Criminal Investigations and Forensic Science Program, the Florida Department of Law Enforcement provides investigative, forensic, and protective services to local, state, and federal agencies. The Investigations and Forensic Science Program provides Investigative Services, Public Assistance Fraud Services, Mutual Aid and Protective Services, and Crime Laboratory Services. The Florida Department of Law Enforcement conducts independent investigations and coordinates multi-jurisdictional and special criminal investigations with local, state, and federal authorities in four key investigative focus areas: major drugs, violent crime, public integrity, and fraud/economic crime. The Florida Department of Law Enforcement provides specialized investigative assistance for computer crime cases, and gathers and shares intelligence information with other criminal justice agencies through the Office of Statewide Intelligence. The Florida Department of Law Enforcement also serves as the agency responsible for coordinating and directing counter-terrorism efforts for the state of Florida, and works closely with the Division of Emergency Management and other federal, state, and local agencies to implement Florida’s Domestic Security Strategy. This includes the coordination of the state’s seven Regional Domestic Security Task Forces, which are co-chaired by The Florida Department of Law Enforcement Special Agents in Charge and Florida Sheriffs and serve as the foundation of Florida’s integrated efforts for homeland security. The Florida Department of Law Enforcement also investigates fraud and abuse in Florida’s public assistance programs. Primarily, these investigations are in the cash assistance, food stamp, Medicaid, school readiness and subsidized child day care programs. Investigations are conducted on program recipients, employees of the various assistance programs suspected of compromising their official positions, and providers of day care services. Dr. James D. Sewell served as the first director of the Florida Criminal Justice Executive Institute. James Sewell began his law enforcement career with the Florida State University Department of Public Safety, leaving at the rank of Lieutenant, and supervisor of the Support Services Section, which included the Crime Prevention Unit. James Sewell joined the Florida Department of Law Enforcement in 1980, leaving in December 1982 to go to the Department of Highway Safety and Motor Vehicles where he served as the Director of the Office of Management and Planning Services until March, 1986 when he was appointed Chief of Police in the City of Gulfport, Florida until August, 1990, serving his last nine months in Gulfport as Acting City Manager for this City of 12,000 residents. Dr. Sewell returned to FDLE as the Director of the Florida Criminal Justice Executive Institute on September 1, 1990. Dr. Sewell retired as the Assistant Commissioner of the Florida Department of Law Enforcement Support Services division in 2005. Director James Sewell holds a BS, MS, and Ph.D., all in Criminology from The Florida State University. His dissertation research was in the area of law enforcement stress. He has published numerous articles in professional journals and is a graduate of the FBI National Academy and the FCJEI Chief Executive Seminar. James Sewell is the co-author of Stress Management in Law Enforcement and Controversial Issues in Policing. According to the book description of Stress Management in Law Enforcement, “The newly revised second edition of Stress Management in Law Enforcement by Dr. Leonard Territo and Dr. James Sewell is once again a carefully selected collection of the leading articles on stress and its consequences for police personnel. This edition, incorporating new and relevant material, comprises nine sections which cover the following topics: What is Stress All About? ; What Does Stress Mean for Cops? ; Are There Ways We Can Tell It's There? ; What Are Some of the Bad Effects of Stress on Cops? ; How Does Stress Impact a Cop's Family Life? 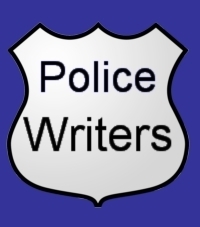 ; How Does the Worst of the Worst Affect Cops? ; What Are the Tools That a Cop Can Use to Better Handle Stress? ; What Support is Available for Cops? and How Can the Bosses Better Help Their Cops? A brief summary precedes each section to assist the reader in readily identifying articles which might be of particular interest. Each article contains end-of-chapter discussion questions which are answered in detail in the instructor's manual. The sections are also accompanied by a glossary of terms and a list of additional recommended readings.